The challenge facing Americans in this realm encompasses quality of family life issues, honoring patient choices, and the financial allocation of our resources. During the past several years, the issues of end of life care have become increasingly important at both state and national policy levels. In 2016, the federal government began a five-year, 40-state experiment to determine whether there is a better way to help elderly Americans come to grips with terminal illnesses and prepare to die. As reported by the Pew Foundation, the plan calls for 141 hospices across the country to offer end-of-life care and counseling to dying Medicare patients at the same time those patients receive treatment to extend their lives. The prevailing practice at Medicare, the federal health insurance system for people older than 65 or with certain disabilities, has been to require terminally ill patients to choose one or the other. Hospice services typically involve a team of doctors, nurses, social workers, bereavement counselors, aides and volunteers who address the physical, social, emotional and spiritual needs of dying patients and their families. The hope is that by allowing people to pursue both paths, more will opt to receive hospice services that will improve the quality of their remaining days and reduce the cost of end-of-life care. If the experiment is successful, it likely will lead to a similar shift by Medicaid, the joint federal-state health insurance program for the poor, and by private insurers. 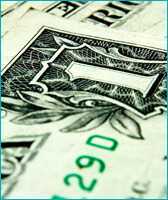 In addition, as of January 2016, Medicare began to reimburse physicians in a limited way for time spent in advance care discussions and planning. Although national health care policy today faces uncertainty and political polarization, the arguments in favor of providing more choice and advance planning approaching the end of life are ones that should appeal to persons across the political spectrum. Our spending on Medicare has reached enormous proportions. 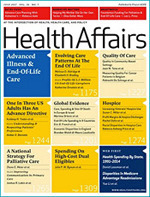 The Kaiser Family Foundation published these observations: “Inpatient hospital services accounted for the largest share of average Medicare per capita spending by type of service for traditional Medicare beneficiaries overall in 2014 (31%), but the share of per capita spending on inpatient hospital services was particularly large for decedents (persons who died in the past 12 months), accounting for just over half (51%) of total spending in 2014.” For the same year, hospice spending per capita for decedents was only 10% of total spending. As our population ages and medical technology advances continue, this spending differential will increase unless we make changes toward a more humane and fiscally responsible solution.